Within our Interrail travels, we made 8 AirBnb stays around Europe. This was our first time using AirBnb and we didn’t know what to expect but from each experience. We couldn’t tell you it’s always been the same – we went from the basic to the extraordinary. 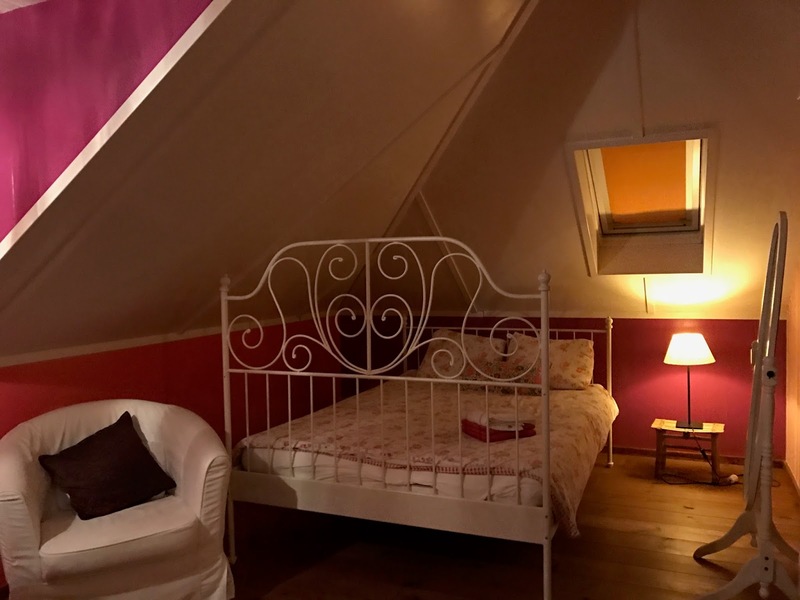 Here are the various types of experiences we came across…Living With the Owner We believe that most AirBnb hosts rent out only part of their house or flat, and with being on a tight budget for the majority of the trip, we did things this way in Amsterdam, Berlin, Prague, Zurich and Paris. We’ll talk about Berlin separately next.We were so lucky not to have any bad experiences in doing it this way, and always made sure that the place and owner had positive reviews from past visitors before booking. We always adopted the viewpoint that paying a few pounds more for somewhere that had positive reviews was better than risking it than going into the unknown. Each of our hosts were so welcoming, particularly in Prague and Amsterdam, and had full access to their kitchen and utility facilities. With being on a long trip, a washing machine was a necessity! The Czech cat that we were greeted by in Prague was cute too!We didn’t get to see our hosts in Zurich and Paris at all, as the keys were left in a safe place and we simply saw to everything ourselves. That was absolutely fine with us, but the extra touches that our hosts in Amsterdam and Prague took to ensure that we were settled in by chatting and talking through everything made it extra special. Basic Living Room SpaceSimilarly to what was previously mentioned, we stayed with the owners of the flat we were in in Berlin. We knew what to expect so we didn’t mind at all, but it was here when we were on a living room sofa bed. It was occupied by two students who weren’t as meticulous as they could be… maybe move the marijuana from the window sill next time lads?? ?Whole SpaceIn Vienna and Budapest, we managed to bag a whole flat for great prices, and took advantage of the private kitchen spaces to make our own meals and make ourselves at home. All we saw of the owners was when we checked in, they gave us their contact details if anything went wrong, and we got on with our travels. We would say that our Budapest was our favourite accommodation of them all – the flat was brand new and had some of the fastest Wifi we’ve ever encountered. And although we weren’t living with the owner, he regularly dropped messages and organised us a taxi to get back to the train station on our final day.Overall we would fully recommend AirBnb to save the costs of hotels, and as long as you do good research into your options, it is a great way to travel! It was great to hear what you thought of air bnb. I havent used it before but I'd like to sometime. I have used air bnb a couple of times, you can find some real gems. I prefer renting a whole space but we did stay in someone's house with them once and it was an amazing place. Yes exactly, we found some really good ones! Glad you found some gems! Whole spaces are the best! I've never used Air B & B before and in the media it has always been horror stories which naturally put me off. Sounds like you've had some good hosts though and I'm like you, I would definitely base my choices on previous reviews.